Nikola Tesla was born in 1856 in the village of Smiljan in former Yugoslavia. His Serbian parents were Milutin an orthodox priest and Djuka whose father was also an ortodox priest. Tesla studied and worked in Prague, Graz, Maribor, Budapest, Paris, Strasbourg and the United States. He passed away on January 7, 1943 in the New Yorker hotel in New York. Tesla's urn with his remains is now located in the “Nikola Tesla” museum in Belgrade, Serbia. Nikola Tesla is one of the greatest minds in human history . He left to mankind his inventions in the fields of physics, electrical engineering and radio physics. Many people do not realize that we have to thank Nikola Tesla and his genius for things that we take for granted today: using electricity, listening to the radio, watching TV, browsing the internet and so much more. 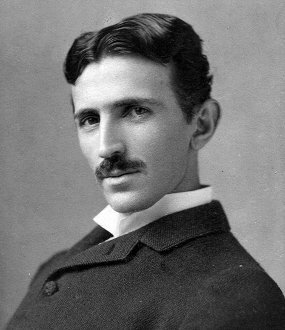 He discovered alternating current, developed and registered over 40 unique patents for alternating current generators, motors and transformers. 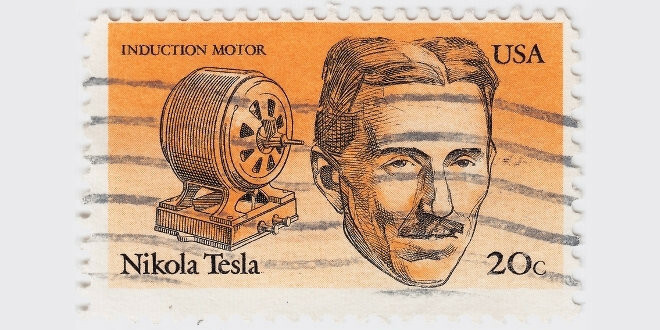 He also invented the famous “Tesla Coil”, which is used in radio and television equipment. Some of his more important inventions are: fluorescent lighting, lasers, wireless communication, wireless energy transfer, remote control, robotics, Tesla's turbines and vertical take-off aircraft concepts. He started experimenting with x-ray technology much earlier than Roentgen, but never asked to be credited as the scientist that actually discovered x-rays. In 1896, Tesla patented the basic implementation of the first radio, describing all required components and parts. Later on, in 1901 Guglielmo Marconi tested the first wireless transatlantic transmission, got credited as the inventor of the radio and received the Nobel Prize in 1909! The Supreme Court of the United States later recognized Nikola Tesla's contribution in the invention of the radio. However, even after this recognition, Tesla never received any financial compensation and his name was never associated with that great discovery. Nikola Tesla conducted research in the fields of nuclear energy and orgone . He predicted interplanetary travel and the invention of satellites orbiting the Earth. In his honor, the unit of magnetic induction was named “Tesla”. He is an author of more than 700 registered patents, received 15 honorary doctorates worldwide and spoke eight languages fluently. I work for the future,” Tesla said, “and my contemporaries will not understand me, but one day the scientific laws of nature will prevail, those whose secrets I have uncovered and everything will change in no time at all, everything will change. A new era of human wisdom will set in, and its key features will be the understanding of time, the discovery of a source of limitless energy and the shaping of matter according to the will of scientists. When Nikola Tesla died in 1943 at the age of 87, he was poor and forgotten and his inventions and theories were largely marginalized and ignored by the mainstream science. The quote he made earlier in his life, explains why he tolerated this, even though it was causing him great pains. Nikola Tesla's work includes extensive research and experiments related to the idea of supplying everyone on the planet Earth with clean and completely free energy. His belief was that the free energy is an inherent right of all people and that no one should be paying for it. After his death all of his research, plans and detailed instructions for building free energy appliances have mysteriously disappeared. As more and more information becomes public and available, it is evident that the “powers-that-be” at the time did not allow this kind of technology to be freely available to the world! Tesla was a simple, humble person creating and dedicating all his inventions to the benefit of mankind. Unfortunately, his vision and efforts were crushed by the big industry tycoons who saw him as a threat to their massive profits. Do you feel that anything has changed since then? Today's energy sources are more scarce than ever and we are polluting our environment on an unprecedented scale. 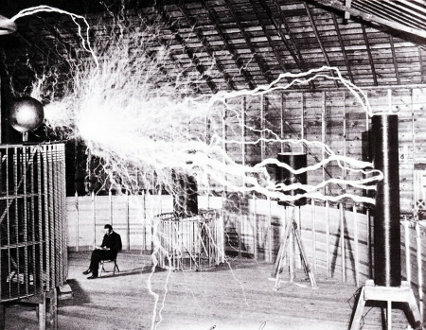 Nikola Tesla's dreams may still come true! His inventions, patents and research are becoming more visible and public. It seems that his ideas, suppressed for such a long time, are finally resurfacing and catching the interest of modern science again. Many scientists are actively studying his research and experiments in the field of free energy, with the hope of freeing us from our dependence on fossil fuel and nuclear energy. We are whirling through endless space, with an inconceivable speed, all around everything is spinning, everything is moving, everywhere there is energy. There must be some way of availing ourselves of this energy more directly. Then, with the light obtained from the medium, with the power derived from it, with every form of energy obtained without effort, from the store forever inexhaustible, humanity will advance with giant strides. The mere contemplation of these magnificent possibilities expands our minds, strengthens our hopes and fills our hearts with supreme delight.